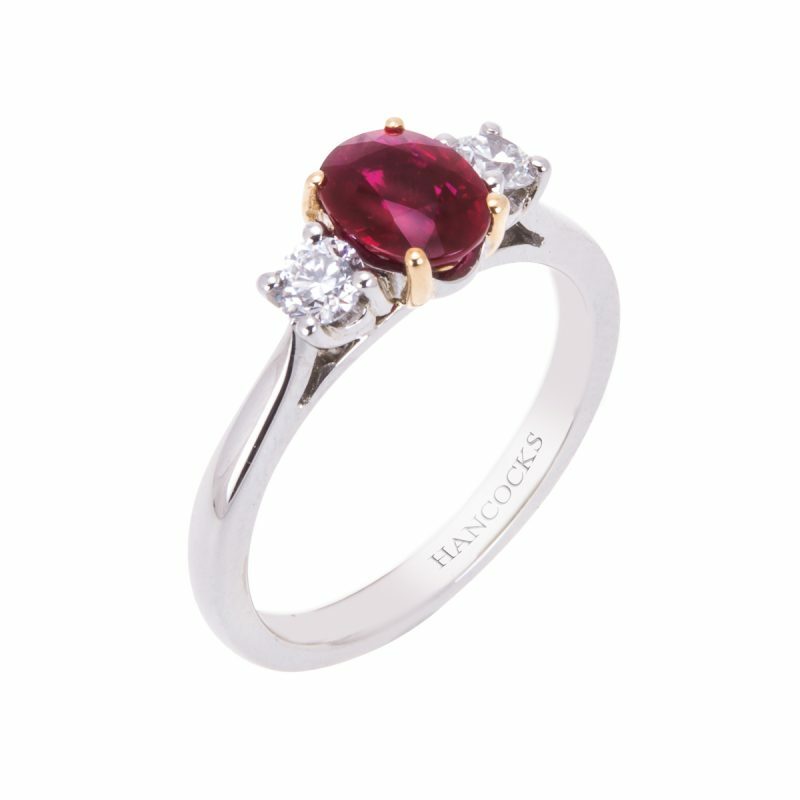 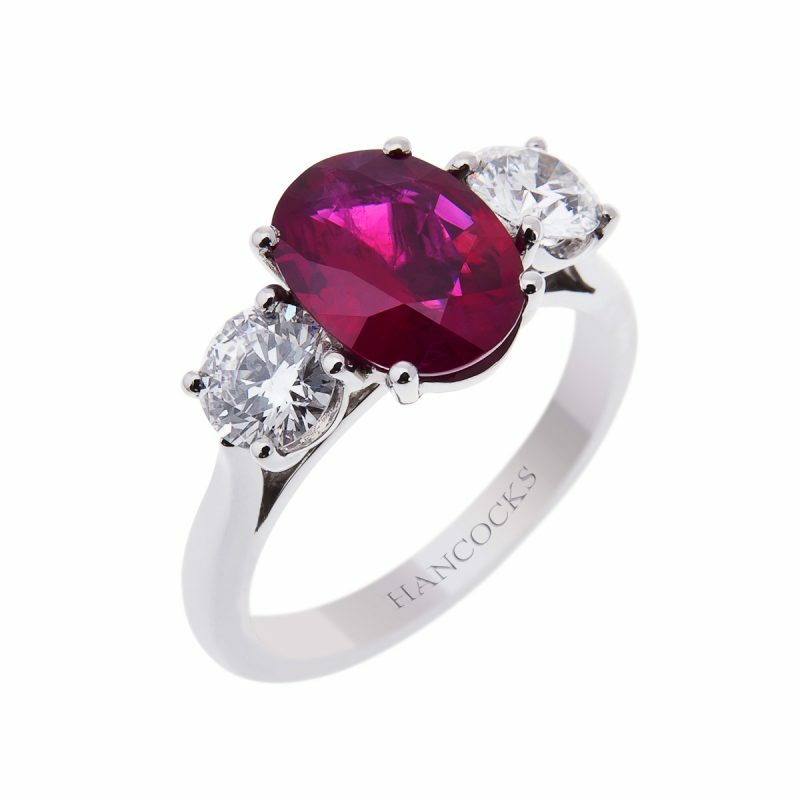 A stunning ruby and diamond 3-stone ring hand crafted in a platinum claw setting with 18ct yellow gold claws to the ruby. 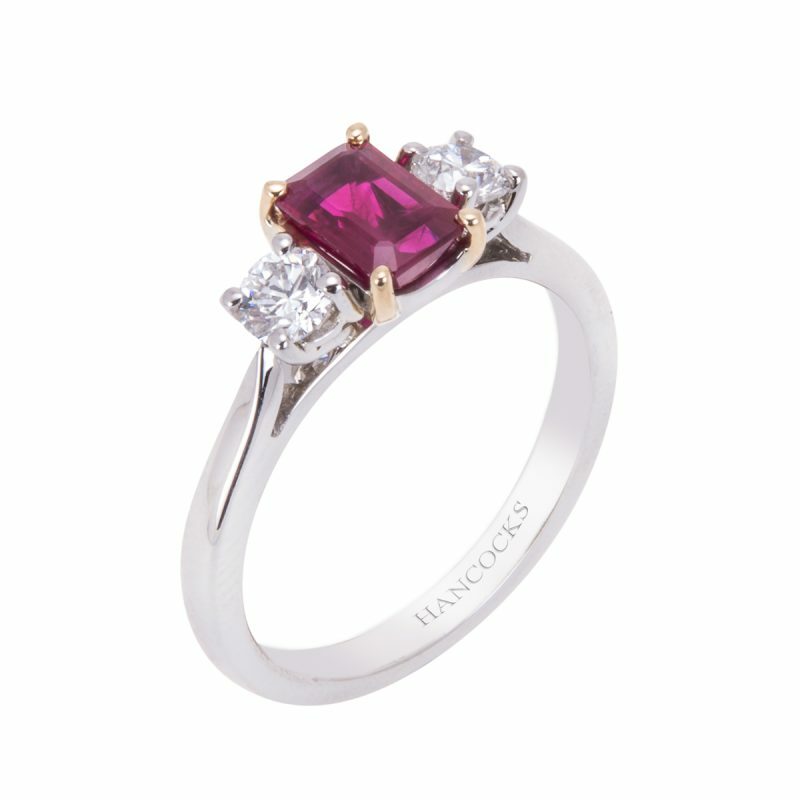 The underwire mount ensures that any wedding ring will sit seamlessly next to this gorgeous trilogy ring. 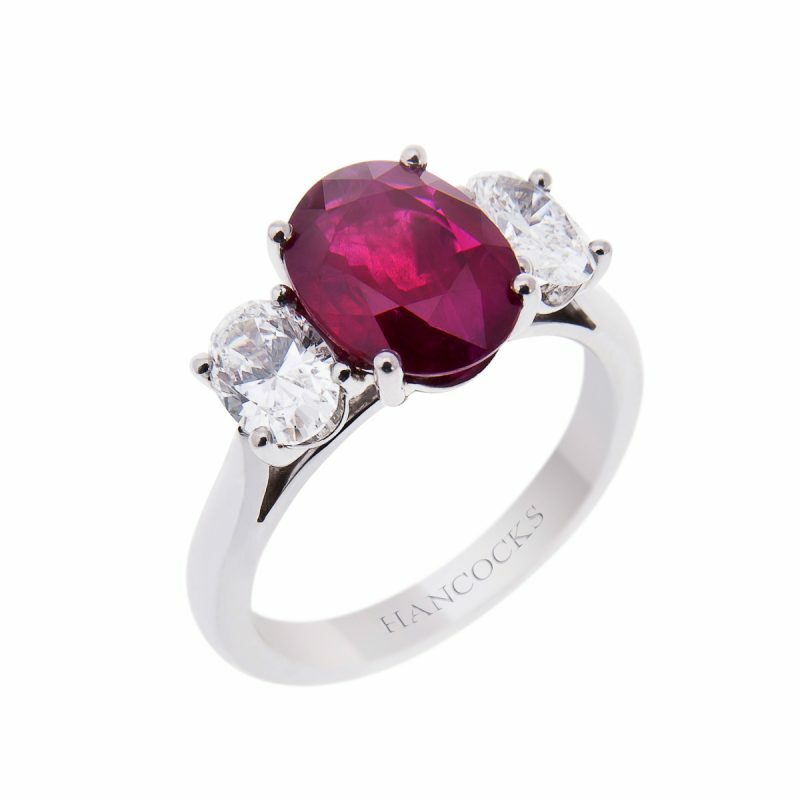 A central rich and vibrant emerald cut ruby, flanked by two brilliant cut diamonds making this a very elegant and timeless ring a perfect choice for an engagement ring.